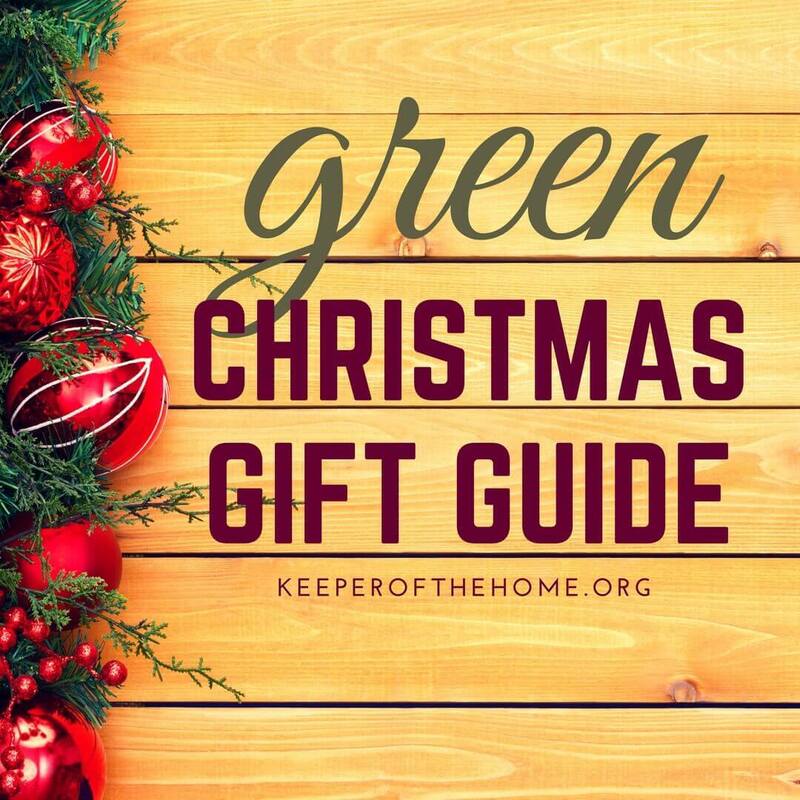 Looking for a way to share green Christmas gifts? These are some of the best gifts out there! A handpicked selection of four Hawaiian gourmet coffees from one of Seattle’s top small-batch roasters. 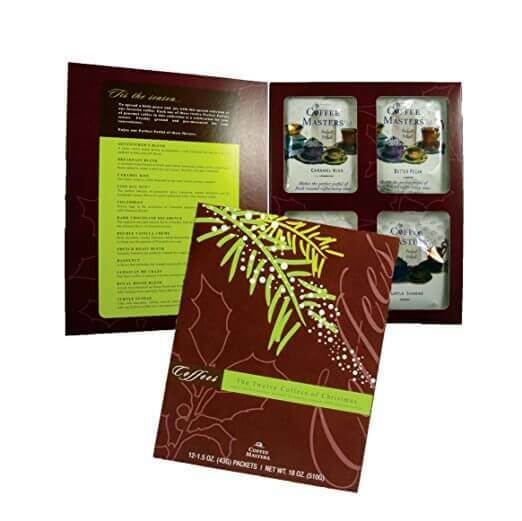 This sampler represents our favorite Hawaiian coffees including a 100% Kona, a 100% Oahu, and two blends. 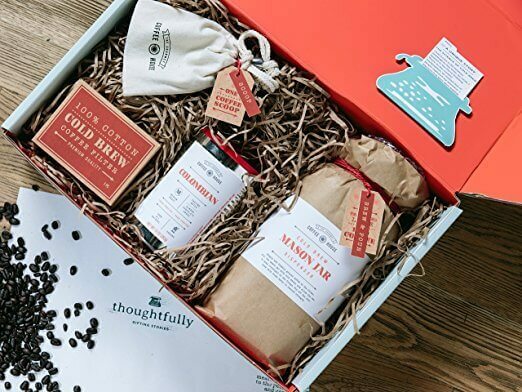 Every Bean Box includes nearly a half pound of freshly roasted whole bean coffee, tasting notes, roaster profiles, brewing tips, and an artisan treat. 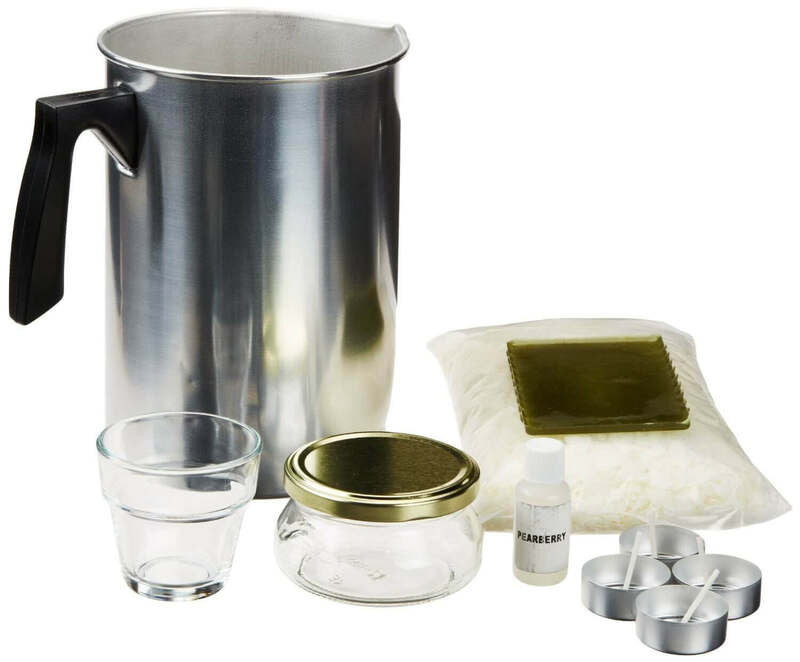 This coffee cold brew kit has everything you need to start brewing a deluxe coffee treat immediately. Including high quality 100% Colombian Arabica coffee, a reusable coffee cotton filter and a giant portioning scoop. There’s even a XL sized mason jar to make and store your large batches of cold brew concentrate. This sampler combines the best of flavored, blended, and single origin coffees – one Perfect Potful of freshly roasted ground coffee, each of these flavors: Adventurer’s Blend, Breakfast Blend, Caramel Kiss, Cinn Ful Nut, Colombian, Dark Chocolate Decadence, Double Vanilla Creme, French Roast Blend, Hazelnut, Jamaican Me Crazy, Royal House Blend, and Turtle Sundae. 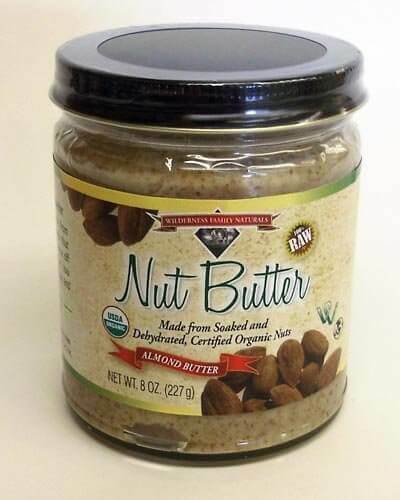 This Almond Nut Butter is made from top quality, raw, certified organic whole nuts (not pieces like other nut butters), that are soaked and dehydrated. It is both delicious and unique! Just 2 Tablespoons of this nut butter provide many of the B vitamins (4-10% of the DV), Calcium (5% DV), vitamin E (15% DV), Magnesium (16% DV), Zinc (8% DV) Copper (18% DV) and Manganese (56% DV)! One serving (2 tablespoons) also contains 10% of the DV for protein and 16% of the DV for fiber! 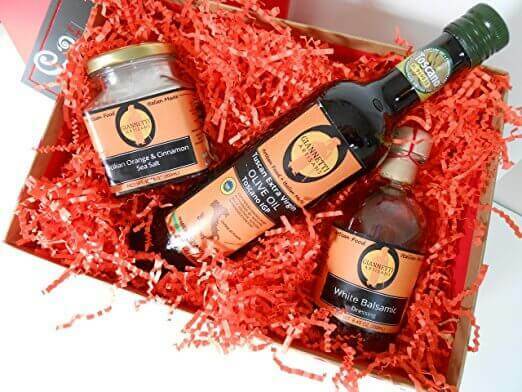 The Giannetti Artisans Italian Olive Oil Gift Basket is a perfect gift for those of you who enjoy giving something practical to a special person or for a special occasion. This gift basket includes Certified Extra Virgin Olive Oil imported from Italy, a Tuscan Extra Virgin Olive Oil that is an exceptional Italian product and winner of various awards in Italy! This olive oil comes from the hilltops of Montespertoli which is known as Chianti’s productive subzone right outside of Florence. It also includes a 8.45 oz bottle of White Balsamic Dressing made with Trebbiano grapes, imported from Modena. And finally, there’s a jar of Sicilian Cinnamon and Orange Sea Salt, from the island of Italy’s breathtaking Sicily. It is a Sicilian Orange and Cinnamon Sea Salt condiment ideal for meat and pasta dishes. Beautiful stickers that hold up well to fluctuations in room temperature. They are perfect for a do-it-yourself project and to put on handmade gifts. 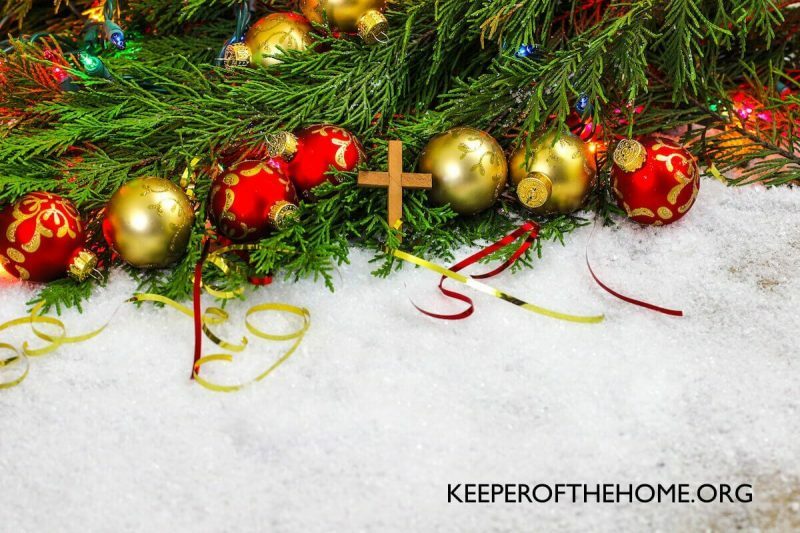 Robust, rich, aromatic, southern, savory, versatile, zesty, bold, festive, and full of flavor! 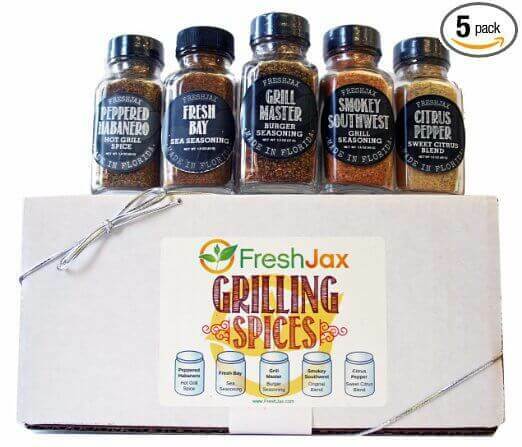 100% SATISFACTION GUARANTEE – you’ll love these spices even more than they love to make them, or you’ll get your money back. They’re made with pure organic ingredients, MSG-free, and made in a dedicated gluten-free facility, sugar & sweetener free, non-GMO, nothing artificial, no fillers, no flavorings added, no pesticides, non-irradiated, dairy-free, low sodium, low salt, paleo, vegan, no anti-caking agents, 100% pure and clean. Variety pack of four, 5-pound bags (total of 20 pounds). Certified organic; non-GMO grains; kosher, All Natural and Organic. Provides convenience for bread machine users who want to add variety grains to their breads. Ships in Certified Frustration-Free Packaging. Great River Organic Milling is located on the upper Mississippi River, in the heart of what is called the Hiawatha Valley. 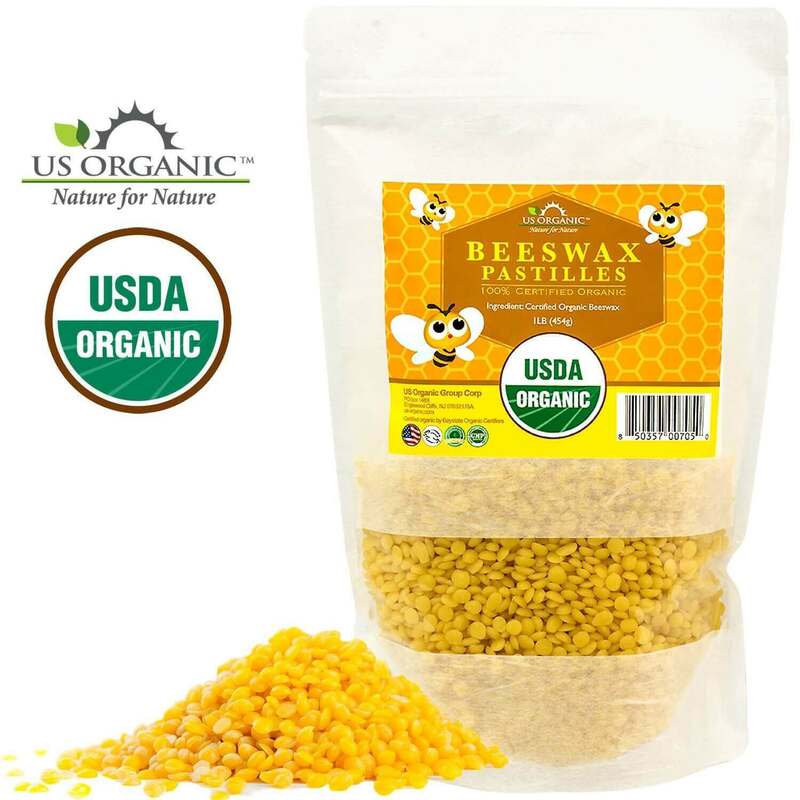 USDA Certified Organic Beeswax Yellow Pastilles are perfect for DYI project like candles, lip balms, creams, lotions, deodorants, hard lotions, and more. 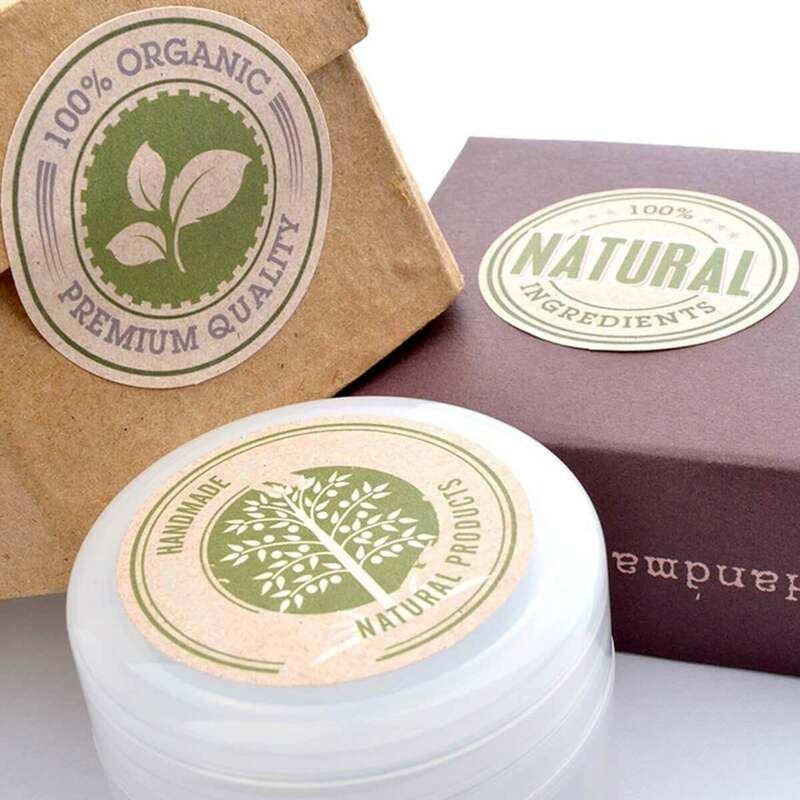 At US Organic, they use only natural and/or organic ingredients. US Organic’s manufacturing facility is GMP-certified, USDA-certified and FDA-registered. This kit is a great way to learn to make soy wax candles. It includes everything you need to make two jar candles and four tea lights. Also includes candle dye, scent, and a reusable pouring pot which you will use for years to come. 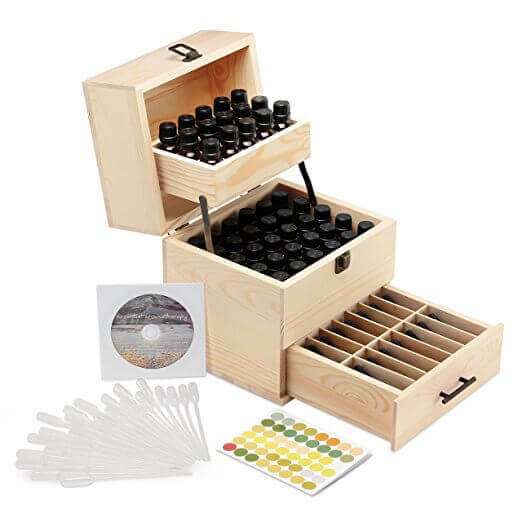 This essential oil carrying case (wooden box for essential oils, vial holder case) is the perfect solution to safe storage, presentation, and transportation of your essential oil collection. 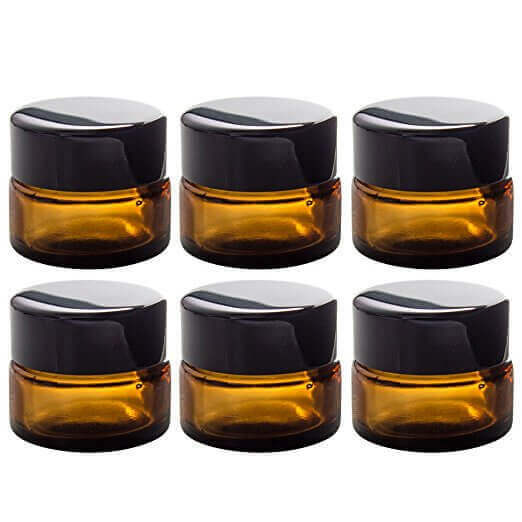 This essential oil case is compatible with doTERRA, Young Living, and Plant Therapy oils. It is made of high quality pine wood. This wooden case comes unstained or painted in the hopes that it will be customized by the owner to the owner’s taste. There are no big obnoxious brands stamped painted or etched into our box. Included with your oil cases for essential oils is an eBook to get your started with essential oils. 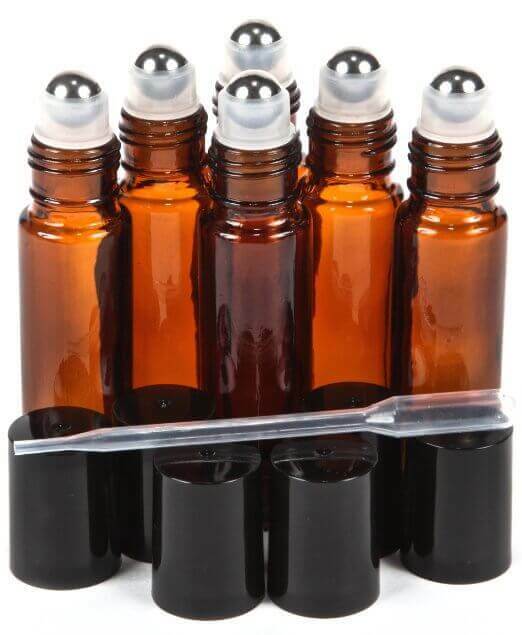 These high quality amber glass roll-on bottles with stainless steel roller balls are perfect for use with essential oils, perfume oils, and other liquids. Snap in the roller-ball by gently placing the roller-ball in the bottle and then firmly tighten the cap until the roller-ball snaps in. Use the roll-on bottle to apply the perfect amount of product each time. Remove the roller-ball by applying pressure with the cap. The amber glass provides protection from potentially harmful light and the convenient size makes it perfect for travel. Ahhh, that brisk morning walk with man’s best friend, followed by a cup of nice hot delicious coffee! 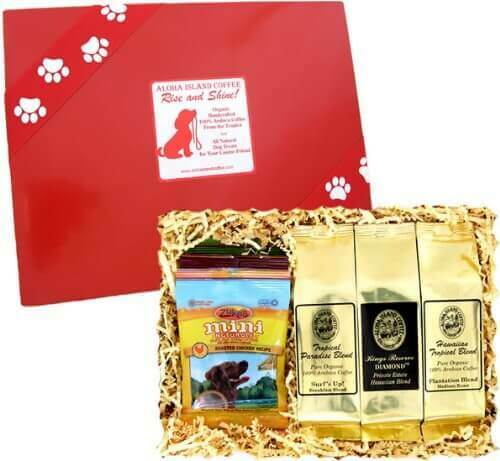 What could be a better gift for a dog lover than this Pet Gift Sampler that includes gourmet dog treats for the dog and terrific coffee for your gift recipient? This truly unique gift sampler will be appreciated by every dog lover on your gift list. Zukes Brand All Natural Dog Treats are tucked into this attractive gift box that also contains three of our most popular coffee selections. Three 2 Oz packages of our superb Kona Hawaiian Coffee Blends brew a total of 36 cups of coffee. 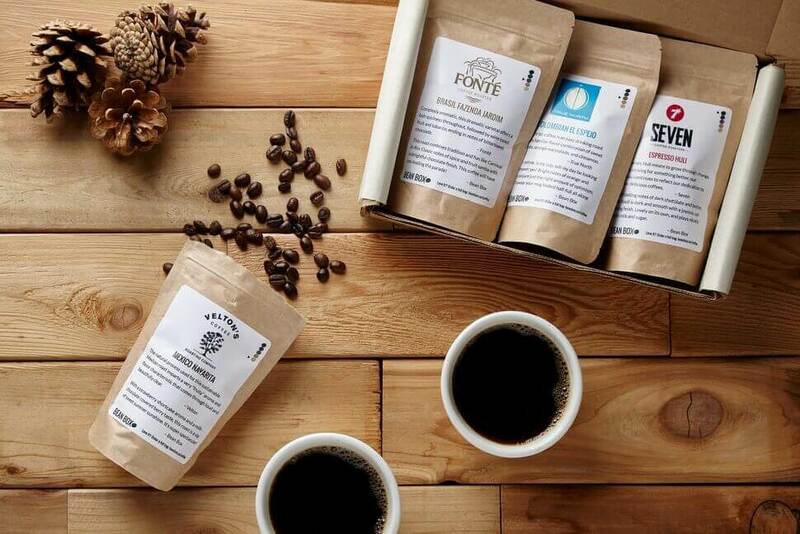 Ground coffee for the convenience of your gift recipient. Every dog lover who is also fond of terrific coffee will appreciate this thoughtful and unique gift. 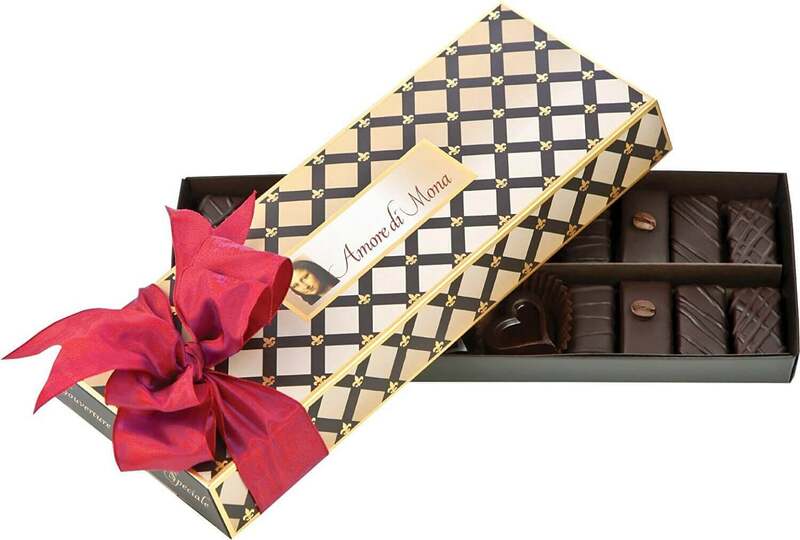 Luxurious gift box with a 9 oz assortment of masterpiece Dark Chocolate & Caramela. Cocoa content is nearly 80%. Cocoa ingredients are the finest available, sourced from Belgium and France. Evokes old world sophistication, while satisfying modern desires. Naturally exceeds special diet needs: vegans, diabetics, celiacs, athletes, and those with common food allergies. Free of: gluten, wheat, soy, milk, eggs, corn, peanuts and tree nuts, as is the facility in which they are made. Ingredients are organic, kosher, non-GMO, Fair Trade, preservative, and artificial coloring free. Sweetened with raw, organic, Fair Trade Madhava agave nectar. Non-GMO Project Verified. Four fresh, baked-to-order Almond Macarons. Four colors, four assorted flavors. Flavor may Vary – Hot cocoa – Banana – Strawberry / Raspberry. Presentation box may vary. Macarons wrapped individually for extending their freshness and shelf life. 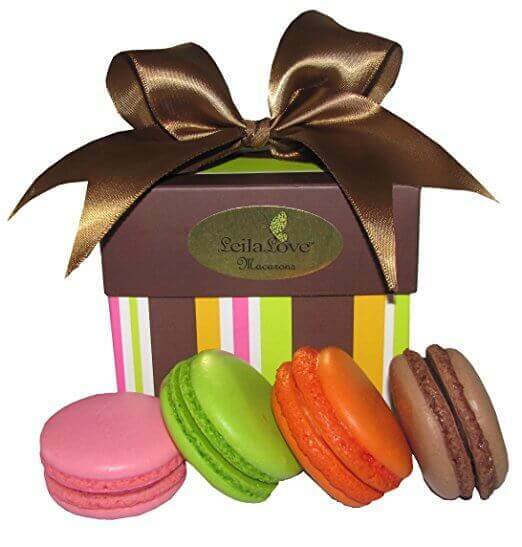 Ganache-based filling made with quality chocolates, fruits, and natural flavoring. 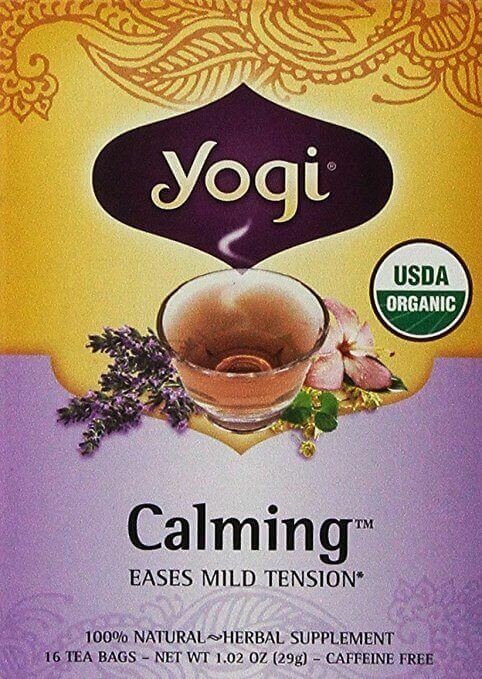 Ease into the day with Yogi Calming Tea. Eases mild tension, is USDA organic, 100% natural, and caffeine free. 100% organic and fairly traded tea with six different types of Pride Of India Teas. 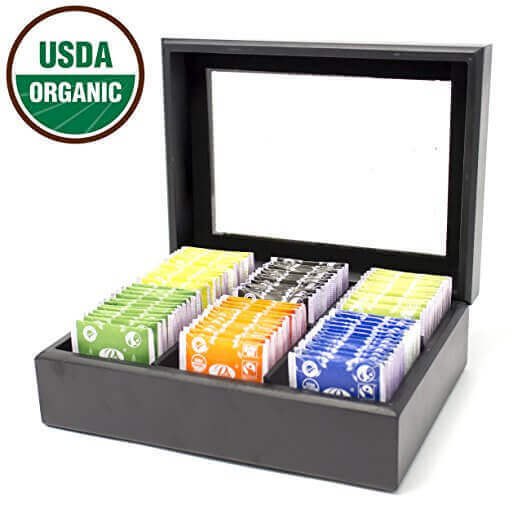 The wooden chest contains 72 total individually wrapped tea bags, with a mix of both caffeinated and decaffeinated teas. 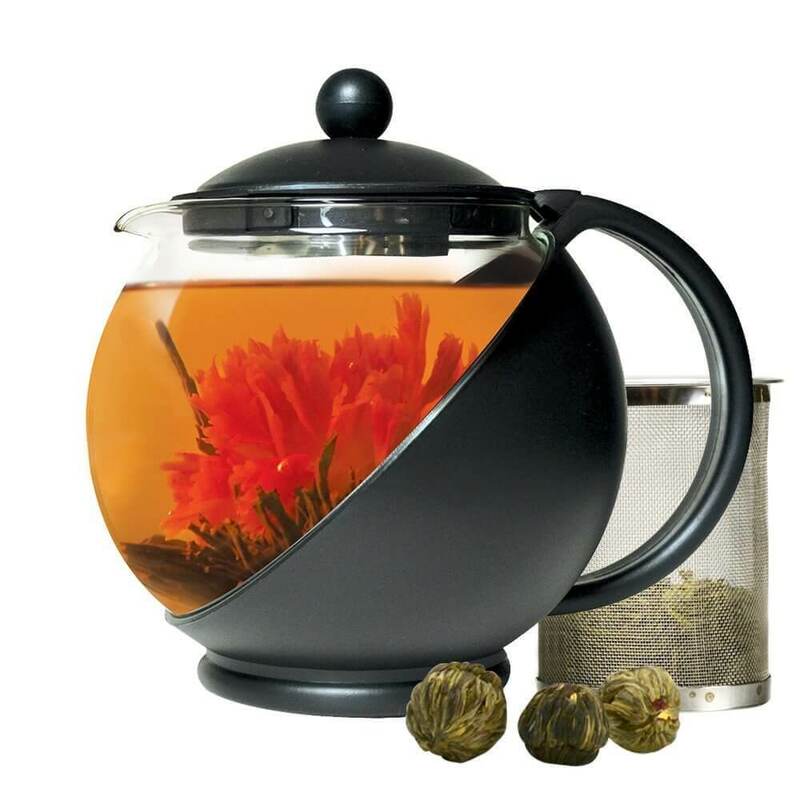 Crafted from temperature safe borosilicate glass, this Half-Moon Teapot is the perfect choice for tea lovers interested in trying a plethora of different rich flavors. Glass does not retain flavor for those who want to sample a wide range of tastes while still being able enjoy their favorites at any point. So you can begin brewing right away, they also include three flowering green teas. One of the most iconic and universally loved styles of tea, these green tea flowers allow you to create a beverage that’s as delicious as it is stunning to watch bloom. Best of all, flowering teas can be used for multiple steeps! 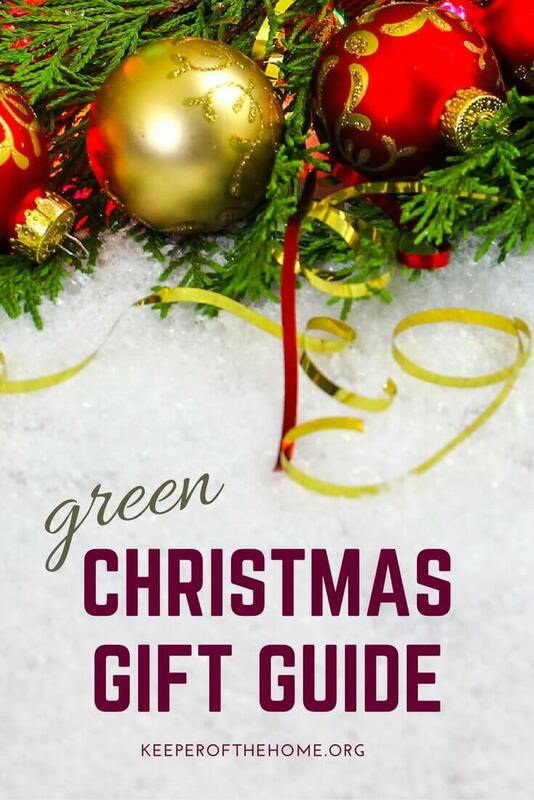 What are your favorite green gifts for Christmas?